Oil pump pressure should be regulated to keep loads between camshaft and oil pump drive gears reasonable. Several aftermarket oil pumps have regulators built in. A stock oil pump can be regulated if the bottom plate is replaced with a new bottom plate housing containing the regulator. Flywheel inertia should be reduced. A 22-pound flywheel featuring a cast iron center section and friction surface with an aluminum bell to support the ring gear is in production. 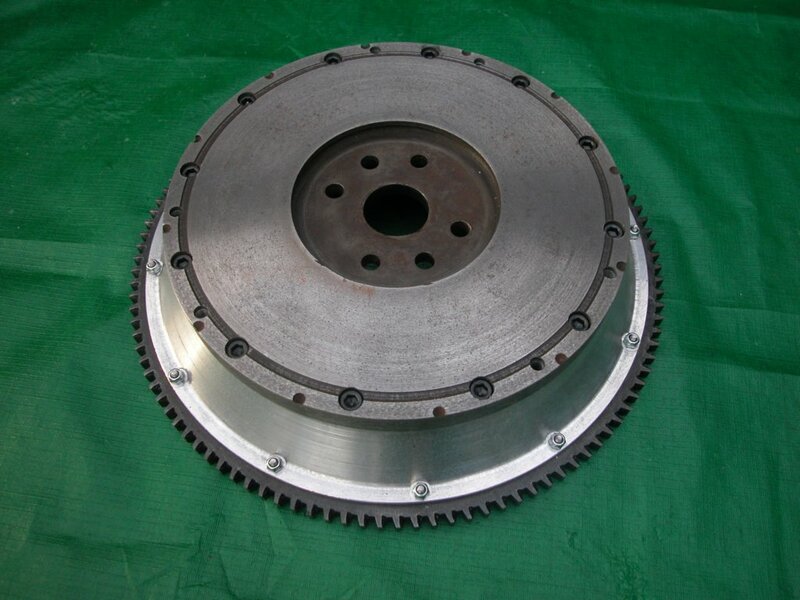 This flywheel utilizes the 48/09A-7563 pressure plate used in the V8 Ford from 1935 until 1942. Figure 28 is a photograph of this flywheel.